When purchasing goat milk, always use the ‘Best before’ date as a guide to the shelf life of the goat milk. Smell the top of the container to make sure that the milk does not smell of spoilage, normally occurs when stored for a period of time outside of the refrigerator or in a storage room. Select goat milk from the coldest compartment in the refrigerator, which is usually the lower section. 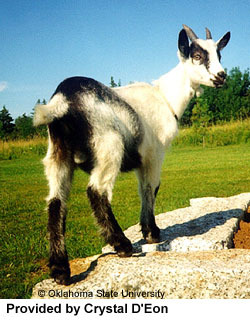 Goat milk should always be refrigerated since higher temperatures can cause it to turn sour more rapidly. Always seal or close the milk container when storing it to prevent it from absorbing the aromas of other foods in the refrigerator. Avoid storing goat milk near or in the refrigerator door since this exposes it to too much heat each time the refrigerator is opened and closed.